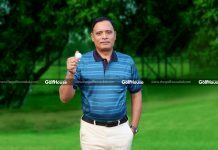 After being associated with various other sports, the Daffodil Group has now come forward to groom golfer. 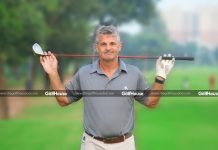 The Daffodil University, one of the few educational institutes with massive sporting infrastructure, has recently developed a driving range in the university. The aim is to find students who can excel in the game and take it professionally. 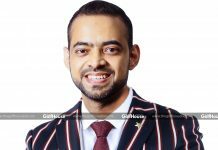 Daffodil Group’s chairman Sabur Khan discusses this aspect and other things with TheGolfHouse. Q: Why has Daffodil Group decided to sponsor golf? What made you interested in getting associated with the game? A: In Bangladesh there is not much opportunity to get involved for long time with any sports. We thought golf was one game that gave us the opportunity to get involved, invest and spend time with. It gives a lot of other benefits as well such as having business relationships and friendships. It’s a wonderful game and we try to give most emphasis on this game. 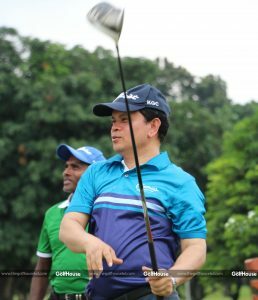 I personally feel very good when I’m at the golf club because it gives a respite from the clumsiness and pollution of the city. Q: Were you interested in other sports before taking up golf? A: I was very good in cricket. I still play badminton and lawn tennis during winter. Q: Daffodil University has a driving range for students and teachers. What is the purpose of the driving range at the university? A: My intention is to find some students who can play and excel in golf. I’m sure some students will come forward and become golfers from there. If you’re not given the opportunity, you won’t know how good you can be. So we thought of giving the students this opportunity and see if it works. Q: Are you able to manage time for the game despite your busy schedule? A: I think it is the busy people who are best at managing their time properly. Not being able to manage time is not a good sign for a business person. 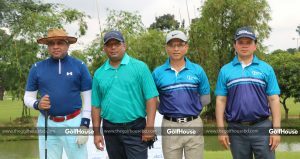 Q: Daffodil Group is arranging its first golf tournament in Bangladesh. What was the motivation behind it? A: As a member of the Kurmitola Golf Club, I thought it was a responsibility for us to get involved as an organizer. It also sends a positive message to my students, my clients and my employees and gives them the confidence. 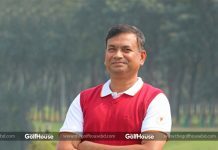 Q: TheGolfHouse is promoting the tagline that golf will be the second biggest sport in Bangladesh by 2025. What do you think about it? 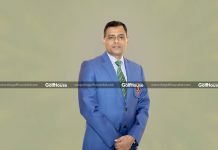 A: Ninety percent of golf courses in Bangladesh are controlled by the army and army are the most honest and disciplined team. Under maintenance of the army and with private sector involved, I’m sure golf can become a major sport in the country. Q: On a different note, you are working to develop young entrepreneurs. What do you think should startups do to sustain their business? A: To give you an example, the tournament we are hosting is giving an opportunity to startups. The t-shirts that are being made for this tournament are being manufactured by a young student and his startup company. My passion is to always give startups the opportunity to prove their worth. Q: Say something to those who are interested in golf. A: I would say that there are a lot of opportunities now in this game. There are a plenty of golf courses around the country. This is a game where you can have a good company, build a network and learn to manage your time. This game can be a positive substitute for computer games and a healthy pursuit overall. 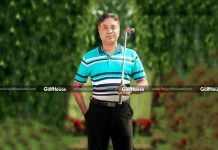 Q: TheGolfHouse is promoting tourism as well as golf. Any messages regarding tourism aspects of the game? A: I have played golf in a dozen of countries, but I must say the golf courses in Bangladesh are very good. They are green, challenging and beautiful. However, a lot of people don’t know about these courses. The golf courses are slowly having their own resort areas too. The KGC has a housing facility, restaurant, gym and other facilities. We have to expand these things to other golf clubs as well. And this can become a great tool for attracting tourists from all over the world.